This was a fairly typical CD-ROM to install on a PC. In other words, not difficult if you've done a couple before, or followed the directions. Initial use, however, was not entirely intuitive. Even one of our guru-level parent reviewers found some things less than obvious. 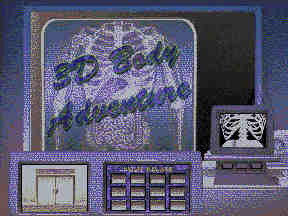 "There was a fair amount of trial and error involved in using Body Adventure. Nothing really hard, but you had to be willing to experiment to uncover all the functions included." Would our reviewers buy it again? Yes, if they had a child who had previously expressed an interest in human anatomy. As one reviewer put it, "although not as complete as I had hoped, it does make anatomy come alive."